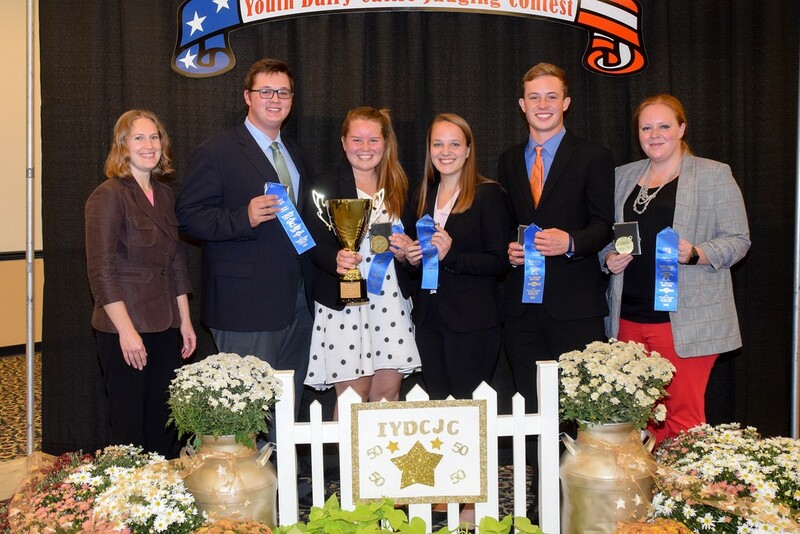 The Rock County 4-H Dairy Judging Team placed first in the 2018 All-American Invitational Youth Dairy Cattle Judging Contest on Mon., Sept. 17 in Harrisburg, PA. During the 50th anniversary of the contest, team members placed 10 classes of dairy cattle and gave oral reasons on four sets of the classes. The Team placed in the “top five” in all breeds and oral reasons to edge out the competition, of 12 teams from around the country, for a first-place victory! 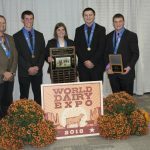 They also placed second in Ayrshires, Brown Swiss, Guernseys and Jerseys, fifth in Holsteins and forth in oral reasons. Individual rankings for the team were: Anne Runde, 2nd place; Jenna Broege, 4th place; Ben Kronberg, 11th place and Otis Johnson, 12th place. The team was accompanied to Harrisburg by coaches Mackenzie Cash and Kristin Paul.